Athletes are constantly searching for new types of performing enhancement. Rapid advances in gene therapy enable athletes nowadays to inject themselves with performance enhancing genes, like Erythropoietin (EPO) and insulin-like growth factor 1 (IGF-1), in an almost undetectable process called gene doping. The big advantage of the use of gene doping is the easy bypassing of current detection methods. The World Anti-Doping Agency (WADA) is taking the possibility of gene doping seriously1. Sooner or later, the sporting world has to deal with the phenomenon of gene doping to control athletic performance enhancement2. The big problem is that no suitable detection method has been accepted for official use so far. The TU Delft iGEM team is trying to tackle this problem by designing a suitable detection method for gene doping. In October our concept will be presented at the biggest international competition on synthetic biology, iGEM (international Genetically Engineered Machine competition). In this competition over 340 teams compete. 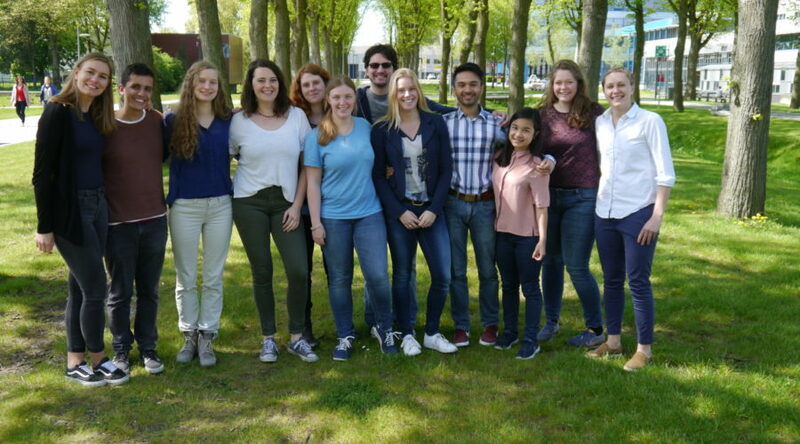 The TU Delft joins with a team of 12 ambitious students. All teams try to solve a world problem with the use of synthetic biology. This year the TU Delft is designing an efficient, secure and versatile method for the detection of gene doping. Our novel detection method uses a dxCas9-Transposase fusion protein3,4 to target and tag the specific gene doping DNA with adapters. Only the genes with the adaptor will be sequenced with Oxford Nanopore Technologies’ next generation sequencing. With this method we create a method for targeted sequencing, which can be an efficient, secure and versatile for the detection of gene doping. Filipp, F. (2007). Is science killing sport? : Gene therapy and its possible abuse in doping. EMBO reports, 8(5), 433-435. Haisma, H. J., & De Hon, O. (2006). Gene doping. International journal of sports medicine, 27(04), 257-266. Hu, J.H., Miller, S.M., Geurts, M.H., Tang, W., Chen, L., Sun, N., Zeina, C.M., Gao, X., Rees, H.A., Lin, Z., et al. (2018). Evolved Cas9 variants with broad PAM compatibility and high DNA specificity. Nature 556, 57–63. Picelli, S., Björklund, A.K., Reinius, B., Sagasser, S., Winberg, G., and Sandberg, R. (2014). Tn5 transposase and tagmentation procedures for massively scaled sequencing projects. Genome Res. 24, 2033–2040.